Ridhi Dogra is currently busy for the Zee Cine Awards. The actor is hosting the red carpet ceremony at the awards this year. You are not the chances you get, you never were, You are already gold, taking the little and making it more, Infinity is already here , Just believe in your self and you're halfway there. 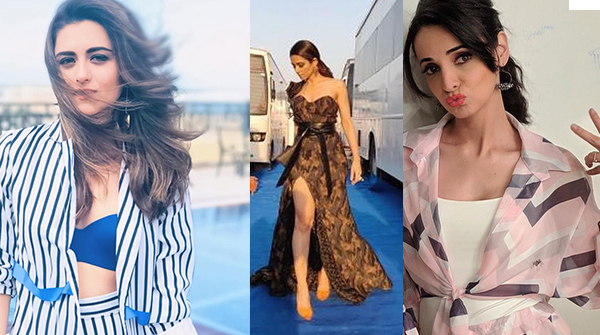 But did you know she recently styled Sanaya Irani too? Sanaya Irani shared two pictures of hers on her Instagram account. One in a trendy jumpsuit and another in a short dress for the Colors’ show Kitchen Champion wherein she is going to appear along with husband Mohit Sehgal. In both the looks, Sanaya credited Ridhi Dogra for being her talented stylist. Trust us even we think Ridhi did quite a cool job with Sanaya Irani’s these looks. Take a look at these pictures below and if you want, then you too can take some style tips from the clicks.